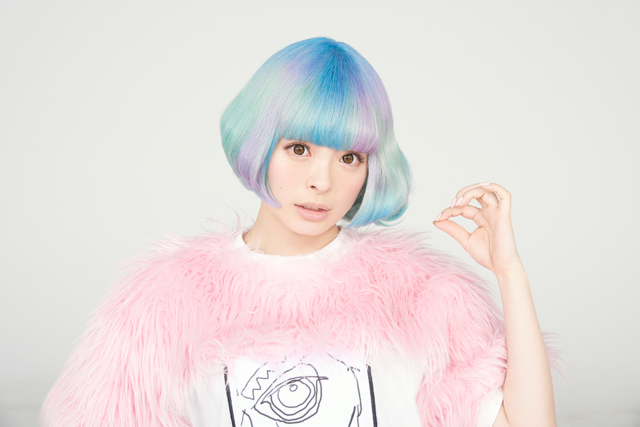 Kyary Pamyu Pamyu started her career as a model for the AOMOJI-KEI(Harajuku fashion) magazines since she was a high school girl. After being on the cover of numerous magazines, she soon became the most popular AOMOJI-KEI fashion model with a great reputation and support from her enthusiastic teenaged fans all over Japan who were also attracted to Harajuku fashion culture. She became a well-known blogger because of her utterly uninhibited way of expression that is unimaginable for her sweet doll-like looks. She has released her debut mini album, ”MOSHI MOSHI HARAJUKU”(Hello, Harajuku) this summer (Aug 2011) from WARNER MUSIC JAPAN, produced by Yasutaka Nakata (capsule). ”MOSHI MOSHI HARAJUKU” has already been distributed on the internet in 23 countries worldwide , accomplishing her world debut. A single from the album “PONPONPON” music video has been played over a million times at the streaming web site. She is Harajuku’s iconic existence. A combination of model and artist with self-producing skill.